When you need light in an odd spot, gooseneck lighting is the solution. The elongated neck of the light fixture allows it to provide light into even the most remote areas, and the adjustable shade enables you to fine-tune your lighting even more. Create interesting light and shadows by combining light fixtures and adding different colored bulbs. The gooseneck lights can be installed indoor or outdoors, and the powder coated material means the fixtures can be painted to either blend in with the decor or become a bold statement. Install to the exterior of your business and illuminate signage, the business' entryway or add light to dark corners. If you have art or a special nook you want to highlight inside, the lighting can be adjusted to allow its subject to make the desired statement. 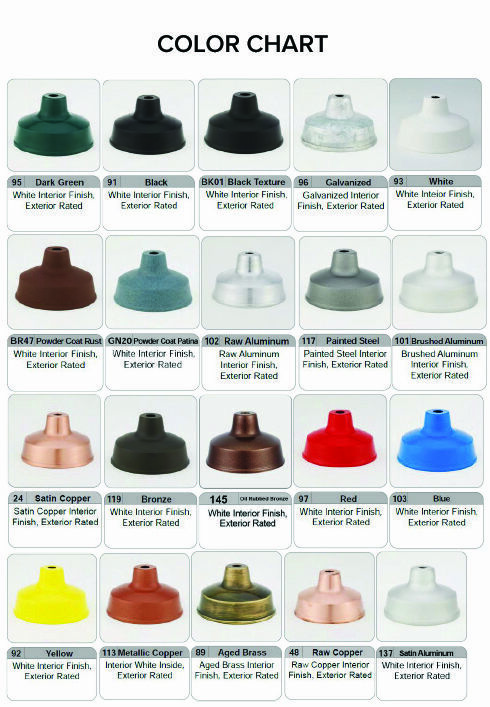 Each incandescent gooseneck fixture comes with a round 4 5/8" Dia. Cast aluminum wall mounting plate with holes that are 3-1/2" on center to allow installation to any standard 4" weatherproof recessed 4" Round or octagon J-box. The mounting plates, gooseneck arms and shades are all made from aluminum and all are powder coated to match (inside of shades are powder coated White unless specified otherwise at time of order). Rated for up to 150W.